While many people are familiar with the idea of organized crime from the movies, they may not realize that, in reality, this is a very real and very serious federal criminal matter. Charges stemming from organized crime often involve long-term investigations, multiple defendants facing multiple charges, potential imprisonment for years, defendants cooperating with the prosecutor, and many other factors. 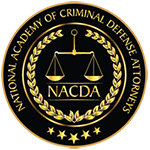 If you are under investigating or have been arrested by federal authorities as part of an organized crime operation, you need the right defense representation immediately. You want an attorney who has the experience and skill to defend against these harsh charges and protect your rights. Call Wimmer Criminal Defense Law in Philadelphia right away. Organized crime refers to a centralized criminal enterprise intended for its members to engage in unlawful activity, usually for illegal profit. 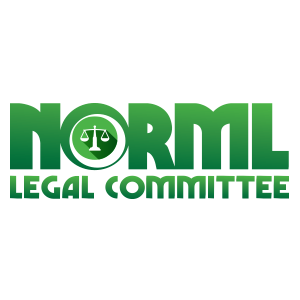 The Organized Crime Control Act of 1970 defined organized crime as unlawful activities of a “highly organized, disciplined association” of individuals. These groups can be local, national, or transnational. Some organized crime groups have political motivations, while others may engage in the extortion of local businesses for loyalty. Historically, organized crime groups have been referred to as the mob, mafia, or crime syndicate. However, in recent years, organized members of street gangs and drug cartels have also been prosecuted as participants of organized crime. In fact, a recent report cited Mexican drug cartels as the greatest organized crime threat to the U.S. in our current society. The structured criminal acts performed by members of crime organizations is called racketeering. As part of the Organized Crime Control Act, Congress also passed the Racketeering Influenced and Corrupt Organizations (RICO) law. Prior to this law, federal prosecutors only had the ability to issue mob-related charges individually based on which specific people committed each crime, despite the fact that many crimes were organized by many people. One person might be prosecuted, but the rest of the organization remained intact. RICO allowed for charges to be issued against everyone involved in a crime organization in certain circumstances, which meant that prosecutors could charge leaders of the group giving orders, as well as the lower members who actually carried out the crimes. For this reason, RICO cases are often extremely complex and involve many different defendants. If an individual commits two of the above offenses on their own without any organized crime involvement, they cannot be charged with RICO violations. The existence of a criminal enterprise is essential, and then a prosecutor can charge anyone involved in the enterprise. In addition to the criminal penalties, there is also often civil liability for RICO violations. 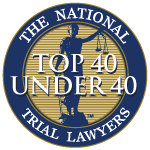 Once someone is convicted of a violation, it is very likely that anyone injured by the RICO offenses will file a civil lawsuit to seek treble damages. 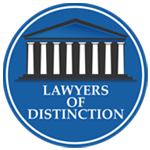 A criminal conviction can significantly help plaintiffs succeed in these claims. For example, if a sting operation uncovered a drug trafficking scheme based on a one-time transaction, they might not have any evidence of another instance of a predicate offense. While drug trafficking charges may apply, RICO violation charges should not as there is not evidence of racketeering. On the other hand, say authorities arrested an individual who is accused of drug trafficking, bank robbery, and extortion. However, there is no evidence that the individual was acting as part of a larger criminal organization. The individual might face serious federal charges, but should not be charged for violating RICO, as there is no enterprise. There also may be constitutional violations committed by federal authorities that may allow your defense attorney to suppress evidence against you. There may also be an opportunity for you to cooperate with prosecutors and give them valuable information regarding the enterprise and other members to lessen your ultimate sentence. 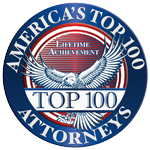 Wimmer Criminal Defense Law knows that every RICO violation and any other federal criminal charge is a serious matter. 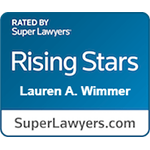 Defense attorney Lauren Wimmer regularly handles tough cases in both state and federal criminal court, and you can trust she will protect your rights and work for the most favorable outcome possible in even the most complex case. Please call 215-712-1212 or contact us online to learn how we can help.